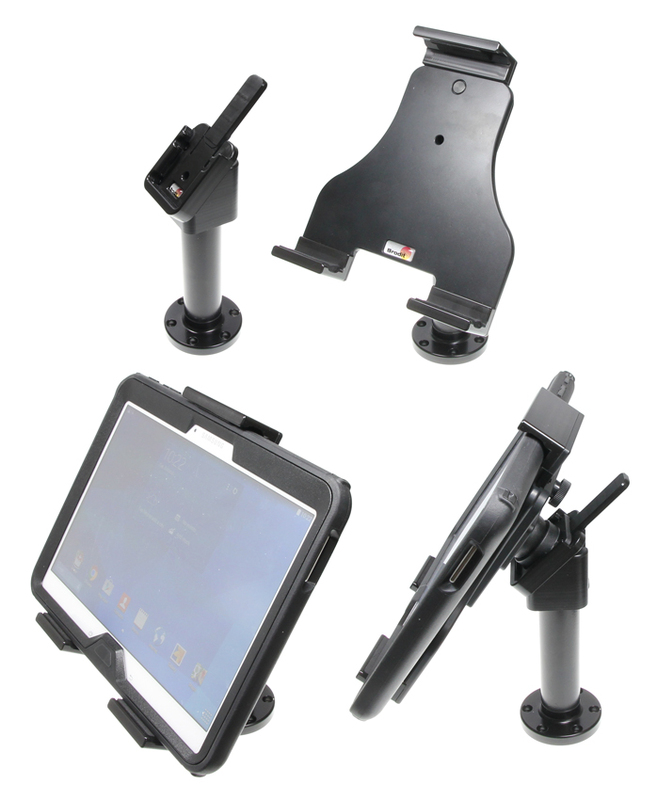 Swiveling Pedestal Mount with adjustable tablet holder. Swivels 345° fits devices with height: 180-230 mm. 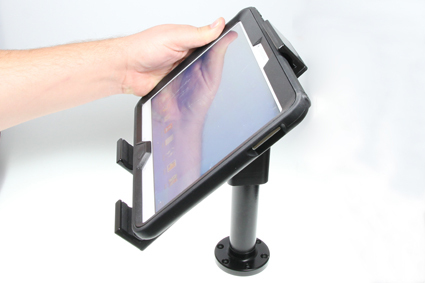 The adjustable tablet holder mounted onto a Pedestal Mount with swiveling top gives you a strong versatile mounting solution. Perfect for use on store counter tops, on a boat's flybridge or any other surface where you need a strong mounting solution with the added flexibility of a swiveling top and adjustable holder. The angled top can turn approximately 345°. Height from bottom of pedestal to below the angled top is 117 mm. Onto the Pedestal Mount there is an angled top of 45° onto which a MultiMoveClip is attached, this way you can easily remove the holder if needed. The adjustable holder fits devices with or without skin between 180-230 mm in height and up to 25 mm at its thickest spot. 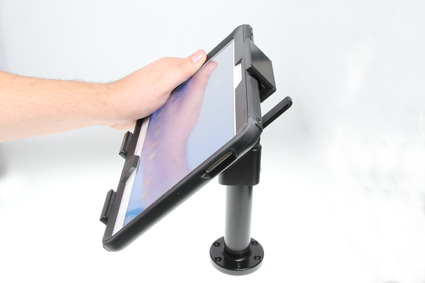 Measure your device and compare the holder specifications in order to make sure you have choosen the correct product. The top and bottom arms have padded cushions for added friction to ensure your surfpad stays as still as possible in the holder. Please read all of the instructions and look at the pictures before attaching the holder. 1. Place the Pedestal Mount onto the desired position and screw it into place. Mount the holder onto the Pedestal Mount by sliding the tilt swivel into the MultiMoveClip on top of the Pedestal Mount. 2. 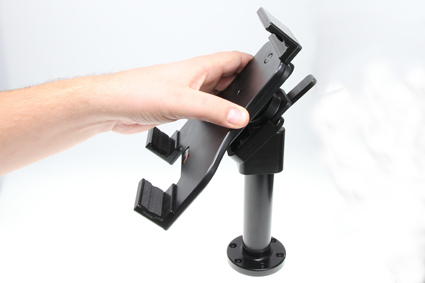 Place the upper part of the device in the holder, press the device upwards so the adjustable arm is pushed upward..
3. Release preassure so the bottom side of the device goes into the holder and the adjsutable top arm flexes back and holds the device into place. 4. 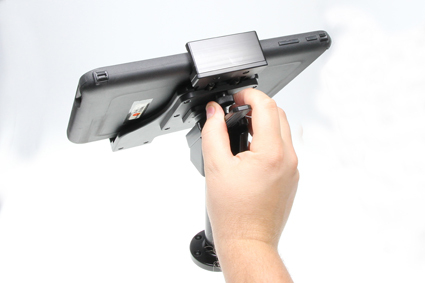 Lock the device into position by turning the wingnut on the back.